Re-reading the original Sherlock Holmes stories. If you think the title The Solitary Cyclist doesn’t sound very exciting, this one might surprise you. Facts of the case: A young woman who recently inherited a fortune from her dead father comes to Holmes with a problem. 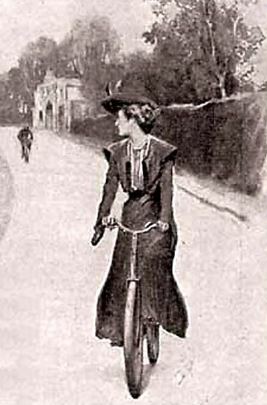 Whenever she goes cycling, a mysterious stranger follows her along the same stretch of road, seemingly disappearing after a while. Holmes and Watson visit the countryside to dig up dirt on all the suspects. Great detective: We’re told that Holmes has been extremely busy after his return, taking part in all the big cases throughout England. Because of this, he is initially against taking this case, until the peculiarities of it catch his interest. Good doctor: Holmes sends Watson to the countryside to do reconnaissance. Watson spies on the woman and her pursuer, but Holmes later gives Watson crap for doing a poor job. Action hero: Lots of action in this one. 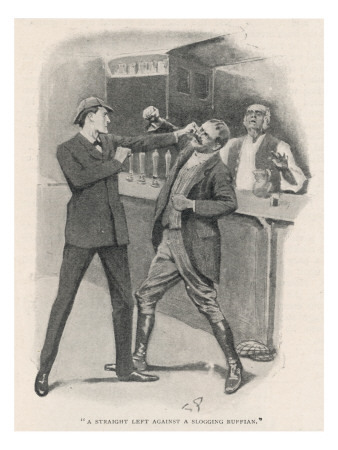 To get information, Holmes fights a ruffian a pub. 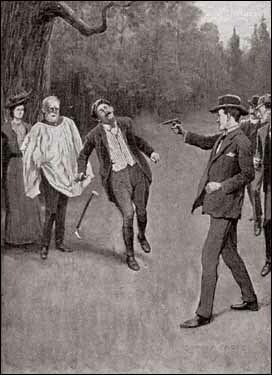 Holmes gets bruised up, but the ruffian has to be carried out. (Holmes’ fighting style is described as “the good old sport of British boxing.”) Then there’s a horse and buggy versus bicycle chase, followed by a gunfight in the woods. Whew! Yes this is canon: Holmes can tell his client is a musician not because of any hard clues, but because he feels there is “a spirituality” to her face. Indubitably: It has a slow start, but once The Solitary Cyclist picks up speed, it’s a lot of fun.